I’ve spotted this at amazon – it’s the cheapest smoker I’ve seen. Stainless Steel construction. Means it won’t rust and can be soaked in washing soda solution (not the bellows!) to clear ir. Fire Guard. Protective safety guard to help prevent burns. Useful! But still get a bucket to keep it in – a metal one! Perforated base plate which can be removed for easier cleaning. And you should do this every so often! 11 inches (28cm) tall and 4 inches (10 cm) diameter smoke chamber. I lost the clip off my first smoker within a couple of weeks of starting beekeeping. My smoker is still going strong though. I have a bundle of newspaper sheets neatly folded up in my bee box. This allows me to take one sheet off, shred it and then light this. I can then apply whatever I am currently burning. I have a bucket of last year’s pine cones and a big plastic sweet jar of sawdust available to me. You gently place some fuel in and puff the bellows until it roars. Once that’s happened add some more fuel – and it’ll smoke nicely when you put the lid on. If you do it right then it’ll stay lit for ages. Sawdust can be gently packed in, but pine cones need to have extras added if you’re staying in the apiary a while. Always have spare fuel with you and check your smoker between hives – not half way through! 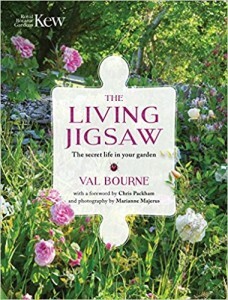 The Living Jigsaw by Val Bourne was sent to me to review. It’s a brilliant book by the publisher Royal Botanic Gardens. A look at the contents page made me smile. It starts with An early start which tells of the author’s introduction to gardening by her grandmother. As so many of us gardeners we start early, and Val Bourne was no exception. Her golden rule is to engage your children and grandchildren: they are the next generations of gardeners. 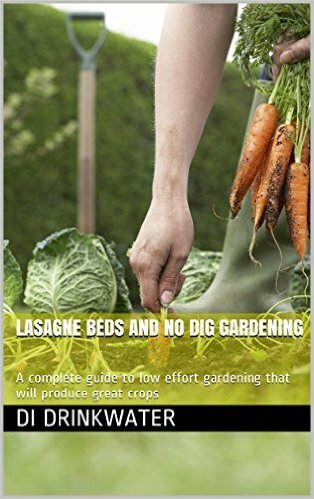 She’s absolutely right, and I believe this book will help many people interest their children in gardening. The book moves on detailing her move to her current garden, and then delves into chapters ‘Winter into Spring’, ‘The Summer garden’ and ‘Autumn into winter’. 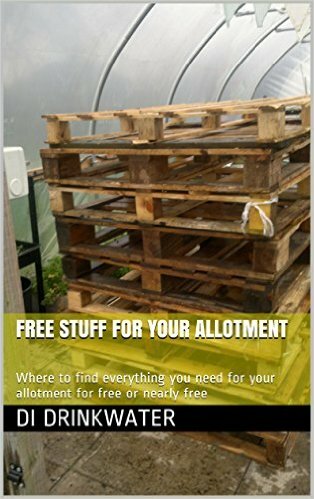 This themes things differently to many gardening books which often start with Spring as this is the time when most seems to need to be done. The end chapters of the book are really wonderful and may raise an eyebrow. ‘The dreaded gastropod’ will make you look at snails and slugs differently, and she explains with great patience how slug pellets work and what the different chemicals do. This chapter might make you think twice about using these chemicals in your garden and she encourages you to look at organic strategies for encouraging slug predators. She also lists slug and snail proof plants which might ease the pain for some gardeners troubled by these slime pests! You will be more accepting of your shelled nuisances by the end of the chapter – the wonderful photos of empty snail shells will make you think about just how different the snails in your garden can be! The Flying Squad chapter lifts my heart as a beekeeper – she explores more than honey bees though with a look at wasps, solitary and social, and the absolutely fascinating parasitic wasps. She looks at bumblebees and explores the different types you are likely to see in your own garden. She looks at the solitary bees too who have some very interesting behaviours. This chapter covers many other flying insects and has an excellent chapter on butterflies. There’s a small section on nettle related butterflies which might convince you that allowing nettles to grow in your garden isn’t the worst idea in the world! She looks at garden birds too with an amazing photo of woodpeckers on a lawn! Her chapter called ‘The ground force’ starts with the very acceptable hedgehogs and moves onto other creatures like beetles and other creepy crawlies. Again she’ll entrance you with snippets of information about these creatures, pointing out their uses and habitats they like. My favourite part of the book is probably the last chapter. It’s a selection of the top 100 plants for an eco-friendly garden. she splits these up into sections of 10, so that there’s 10 woody plants for permanent structure in your garden, 10 early bee plants (Please go and buy some of these for our precious pollinators! ), 10 plants for borders and edges, 10 annuals and biennials (explaining that they need to be nectar rich to encourage pollination so they can set seed! ), 10 gap plants for May, 10 umbels (suited for butterflies with small mouths), 10 nectar plants for butterflies and moths, 10 high summer nectar plants, 10 late performers, 10 daisies. Val also gives a great list of books you might want to go on and read to find out more. This book will make you look at the importance of insects and wildlife in your garden and encourage you to support and help it thrive. It would make a wonderful gift for a gardener for their birthday too! It is beautifully laid out, packed with interesting information and is a delight to read. I have very much enjoyed reading this book and know that it will be something I will come back to again to re-read and admire the photographs of the author’s own garden. This book is available at Amazon and all good bookshops. This book jumped out at me on a recent visit to my local library – Chicken Coops for the soul – is an absolutely lovely book. Full of interesting snippets about hens, tied to the story of how she got two hens and a rabbit and what happened next. I’m now after a packing case .. but you’ll have to read the book to know why! Chicken Coops for the Soul is a record of the five years of trial and error that ensued, in which Julia charts the joys, challenges and inevitable moments of disappointment thyat face any aspiring poultry keeper. It’s also a compendium of wisdom about the humble chicken that explains, among many other things, which breeds are most productive, why some hens lay double-yolkers, and how we have the Second World War to thank for our ability to tell newly hatched male and female chicks apart. Not to mention a considered discussion of where the first chicken (or egg) came from. Fascinating and entertaining by turns, this is a book that will prove invaluable to the aspiring keeper and remind chicken aficionados why they became hooked in the first place. 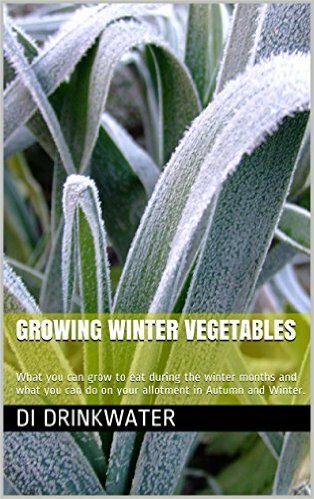 Growing Winter Vegetables: What you can grow to eat during the winter months and what you can do on your allotment in Autumn and Winter. 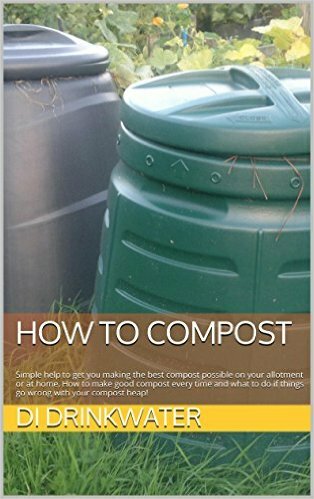 I am looking for people to review my book on Amazon – It’s called How to compost and is a guide for beginners on how to compost. I’ve read the first four chapters of this so far and am looking forward to reading it. It’s a bit sweary to start you off but that’ll give you an idea whether you’ll enjoy it or not. Interesting idea. Someone trys to break into your shed and the alarm sounds!